THE one time you'd hope never to encounter a spelling mistake is when you're getting your child's name etched on your person. Tattoos, like children, are for life. 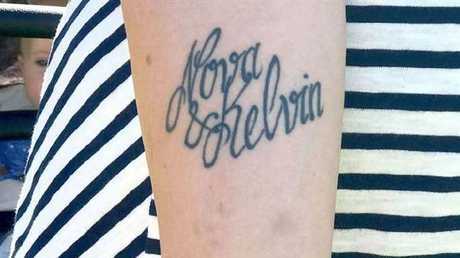 Another day, another tattoo fail. At least this mother found a way to live with it. Ms Sandström and her husband have grown to love Kelvin, as it's unique. She explained that "no one else" has her son's name. Luckily, her young son has also taken well to his new moniker. The family have just welcomed their third child Freya, and Ms Sandström is looking to go under the needle once more. However, this time she promises to be better prepared.